If the person you’re buying for is as keen on shooting as the shooters I know, you probably don’t see them very often between the months of October and February! But you still better get them a Christmas Present! We have a whole shop and website full of gift ideas that anyone who dabbles in the sport will really appreciate for Christmas. 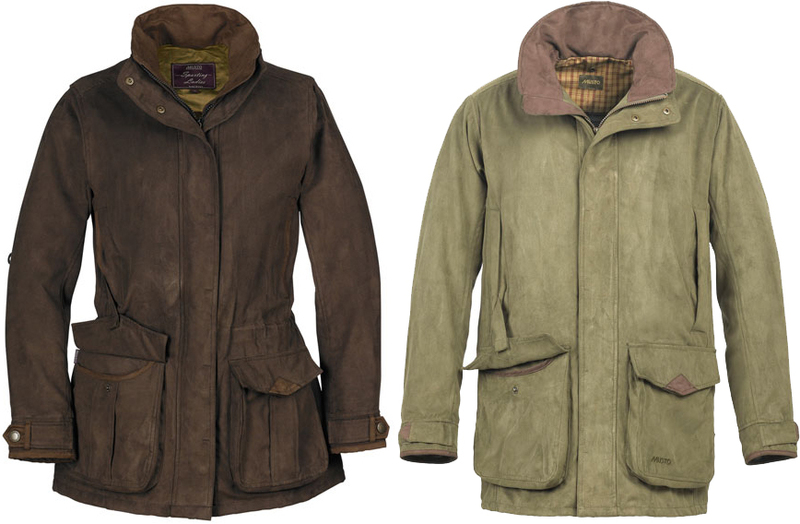 If you really like the person you’re buying for, a Shooting Jacket would be sure to put you in their good books. The Musto Whisper Jacket, as the name suggests, is an extremely quiet jacket perfect for stalking. It’s so popular as it doesn’t look like your typical shooting jacket and so easily doubles up as an every-day jacket for casual wear. The Ladies Whisper (left) comes in a delightful Chocolate colour or Dark Moss, the same colour as pictured in the Mens (right). 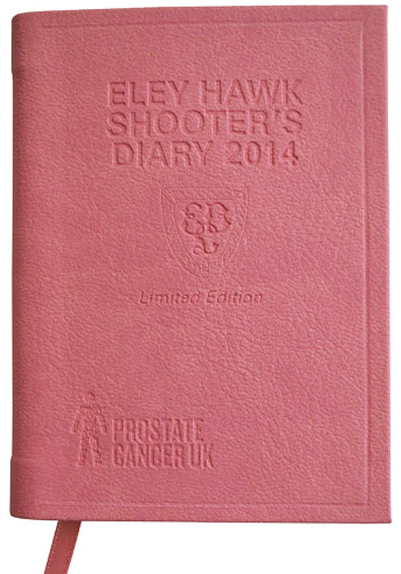 The Eley Hawk Shooter’s Diary is pocket sized (or perfect stocking size), but don’t be fooled by its small exterior, inside it is full with useful and interesting information about every aspect of game and clay shooting, and has a hidden pencil in the spine! It includes information on gun care and maintenance, judging ranges, Game Conservancy Trust advice, shooting season dates, firearm fees, open seasons, ballistics, game register plus lots of useful addresses and contact telephone numbers. This year for 2014 it has gone Pink for Prostate Cancer, so you will be supporting a great cause too. Giving Socks as a Christmas gift is almost as much of a tradition as Turkey; was that not one of the gifts to Baby Jesus from one of the three kings?! The thing is, shooting socks are a different calibre to ordinary socks – they need to be tough and hardwearing but still comfortable for long periods of wear. High quality shooting socks, such as those made by Coxwear, have a hand linked toe for extra comfort, a reinforced heel and are made with a high ratio of wool for durability and warmth in demanding conditions. 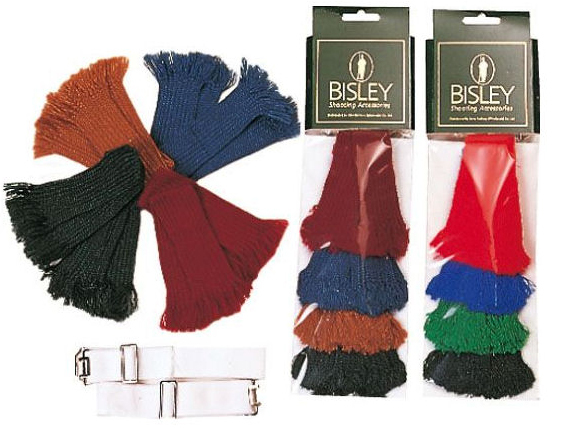 To hold those socks up and keep them secure you need some good garters, this Bisley Garter Set would make a lovely little gift. Another option for that keen shooter is Gun Care Accessories or Cleaning Kits, which make a particularly good gift as many of them come in a lovely presentation box. 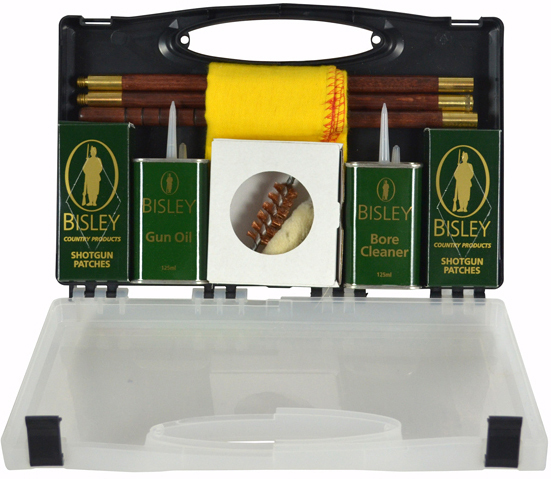 This Bisley Presentation Cleaning Kit comes with all the essentials to keep your gun like new, all enclosed in a ready-to-wrap presentation case. We have a fantastic selection of Gunslips, Bags and Cases from renowned brands such as Barbour, Musto, Deben and Beretta. In particular there are some beautifully made Cartridge Bags that would definitely make you a favourite this Christmas. 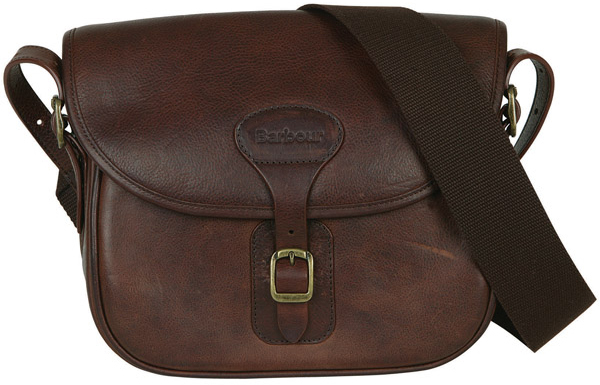 This Barbour Leather Cartridge Bag has a durable leather outer, that ages fantastically, it has a waterproof laminate inside and out with a traditional tartan lining. 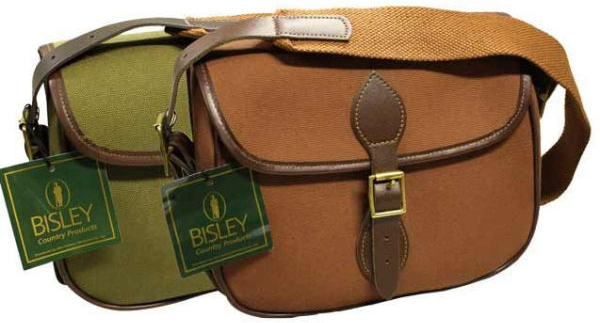 This Bisley Cartridge Bag is a little easier on the wallet; it comes in Green or Brown, is made from long lasting canvas and carries 100 twelve gauge cartridges. This is also available in a 75 Cartridge capacity. We also highly recommend the Musto Canvas and Leather Gunslip, not only does it look great, it is hand sewn in England from the finest laminated cotton twill, reinforced with best quality Italian leathers and has a quick drying fleece lining. Solid British hardware throughout that is built to age beautifully and last a lifetime. Give your Keen Shooter the option of a little pick-me-up when out in the field with a brand new Hip Flask. They come in a huge variety of styles and colours and are the perfect companion for a long day outside. 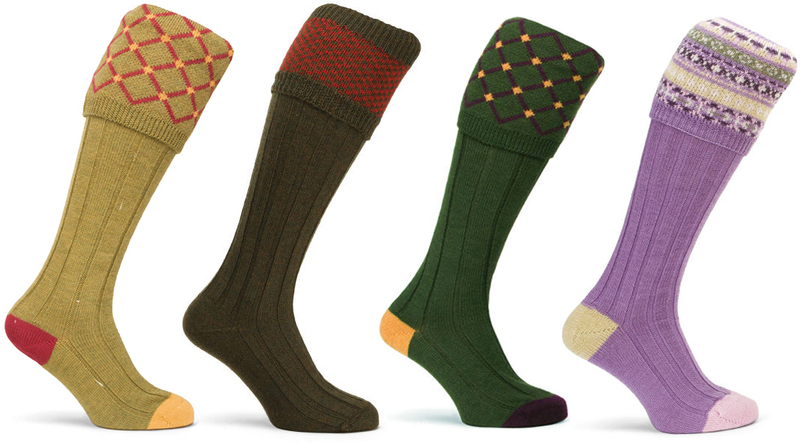 Bisley, Christmas, Coxwear, gifts, Shooting Gifts, Shooting Socks. Bookmark.